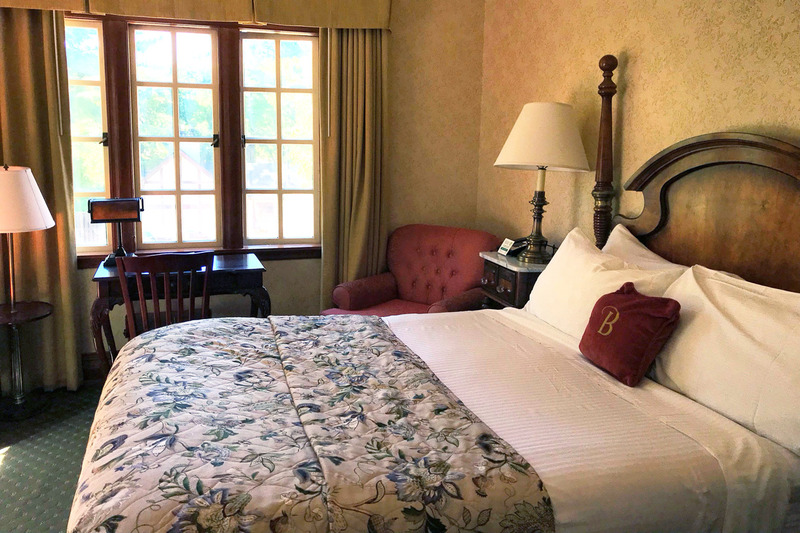 By far our most popular room in the historical building, the “Queen B” room features a queen bed, comfy winged-back chairs, a corner view overlooking the Benbow patio, and a private outside balcony overlooking the Eel River, stone bridge and our gardens. No TV. Located in Historical Building.